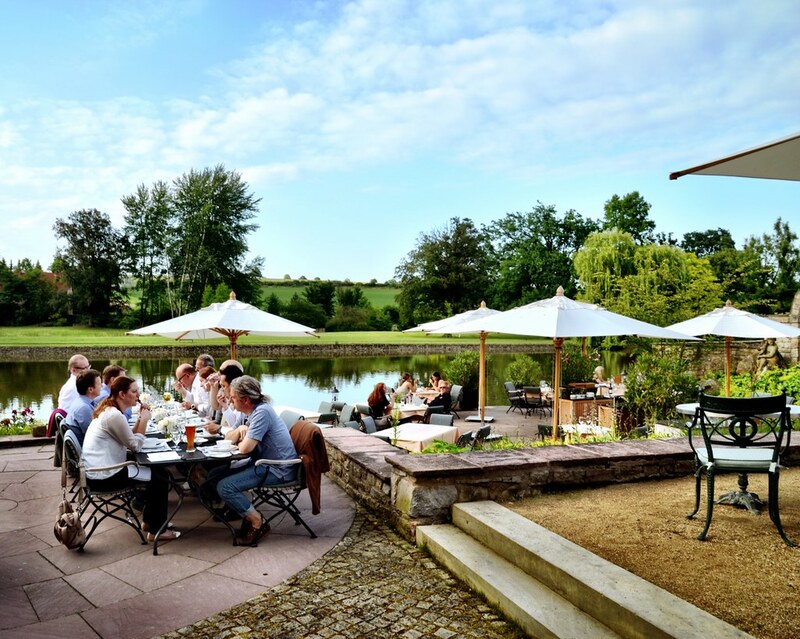 Germany is known for a lot of things from great food to amazing and exciting cities. It’s also known for its many castles though and as I discovered while driving along the German Fairy Tale Route, there are even some where you can do more than just visit. All around Germany are old castles that have been lovingly reimagined as hotels, usually luxury ones at that. These fairy tale properties are everything you’d hope for and more with impressive histories, imposing towers and turrets and even a few ghosts. Staying in these remarkable castle hotels has been one of the highlights of my time spent in Germany and so today I thought I’d share a few of my favorite castle hotels along the Fairy Tale Route where you can spend the night, indulging in your own personal fairy tale dreams. My first experience sleeping in a real German castle happened at this pastoral retreat not far from the city of Kassel along the German Fairy Tale Route. Recently celebrating its 682nd birthday, Sababurg was in a state of ruin for centuries, overrun by plants and trees and, most importantly, a high thorn bush. This bush would become important in the life of Sababurg, defining it into the 21st century. The famous Brothers Grimm lived not far away from Sababurg in the city of Kassel, and it was well known that they used the surrounding forests, countryside and castles as a physical basis for many of the stories they chronicled. So it was locals in the 19th century, along with early tourists, who started scouting out the rolling hills of the region trying to match stories with their real-life counterparts. When they chanced upon Sababurg, practically enclosed by thick brush and that famous thorn bush it seemed too perfect – this had to be the Sleeping Beauty Castle. Today it’s been thoughtfully and painstakingly remodeled into a beautiful 16-room luxury hotel, all paying homage to the story of Sleeping Beauty. I loved my evening spent sleeping in one of the turret rooms, imagining myself in an era long gone amongst luxury amenities and comfort. 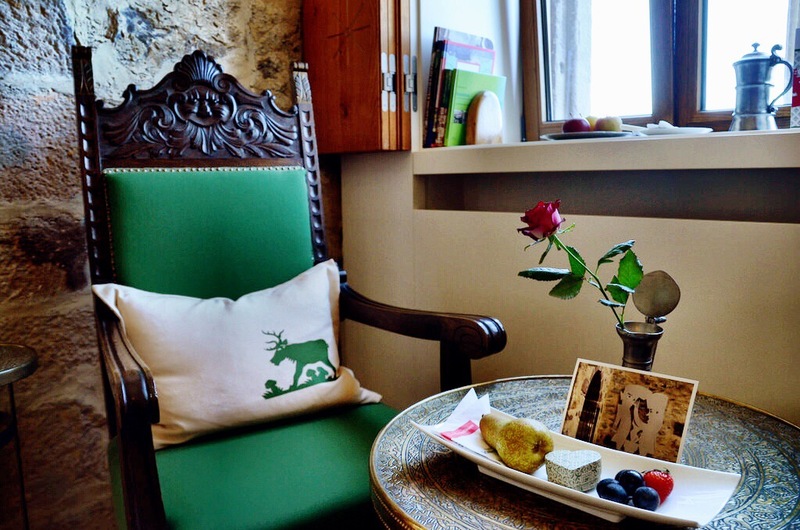 With pastoral calm and beauty and an amazing staff, this is a not to miss hotel along the German Fairy Tale Route. In the interest of full disclosure, I didn’t spend the night at this fairy book castle, but I did visit and enjoy lunch there and from my brief visit I know I need to return and enjoy the hospitality at this gorgeous estate. Known locally as the Rapunzel Castle, the high tower is the highlight of any visit to Trendelburg and after making the climb to the top I could see why. The views of the town and surrounding countryside were astounding, honestly something out of a fairy tale. The castle has been restored of course and the hotel, spa and restaurant are all of top quality. Like all castle hotels it’s a little quirky and no two rooms are exactly the same, but that’s part of the fun when you stay at historic properties. It’s their unique character and personalities that make them so much fun to explore and enjoy. Not for the first time I checked Google Maps to make sure I was indeed in the right place. It lovingly reassured me that the miles upon miles of German farmland I was driving through was correct and that I would soon be at the striking Berlepsch Castle near Witzenhausen. And then out of nowhere I saw it, the unmistakable silhouette of a castle standing tall against the skyline. I couldn’t believe that this castle would be my accommodation for the evening. For nearly 700 years, this castle has been passed down through 19 generations, each one charged with maintaining the castle and grounds to the best of their ability. For the current generation that has meant opening it up to visitors, most of who come to just see this gorgeous monument to another age, but also to eat dinner in their restaurant and even spend the night. The castle features two large guestrooms, lovingly decorated to reflect the age and the history of the castle. The night I stayed there I was the only person in the castle, a little eerie at first but then peaceful and relaxing. There’s nothing like being King for a night and having an entire castle all to yourself. Another castle I merely visited and didn’t have the great fortune to spend the night, almost immediately I was won over not just by the impressive castle itself, but also by the amazing views it enjoys. Like most castles, Waldeck has a long history and over those centuries it has been everything from a noble’s house to a prison and even serving as offices for regional bureaucracies. Today though it’s been reimagined as a gorgeous castle hotel with luxury rooms, restaurants and those views I mentioned. Perched high on a mountain, the castle overlooks the Edersee and nearby forests, a UNESCO World Heritage Site and one of the most beautiful natural retreats in this region of Germany. Originally a 16th-century castle, today both the main building and the incredible grounds surrounding the Schlosshotel Münchhausen come together to form one of the best hotels in Germany. A luxury, 5-star hotel-resort, this wasn’t only one of my favorite hotel experiences of the trip, it was the most relaxing. Sitting on the terrace, enjoying a fantastic dinner as the sun slowly set was leisurely and fun, exactly what you want from any great hotel experience. The rooms though aren’t what one expects from a 400-year old castle. Inside, the rooms and public spaces are modern, but in keeping with the castle’s tradition, light and airy and incredibly comfortable. It’s also located within just a few miles of Hameln, making it the perfect stop along the German Fairy Tale Route.